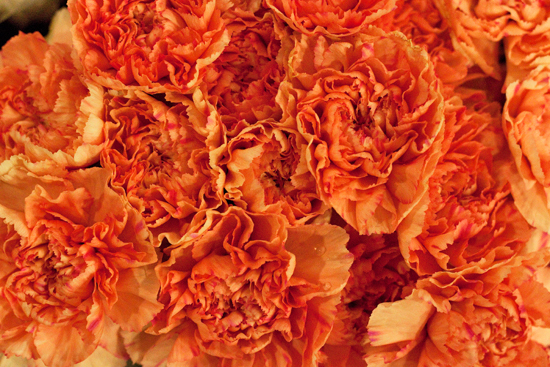 In this month's report, it's the turn of a flower which has been having a renaissance over the last few years…the carnation. 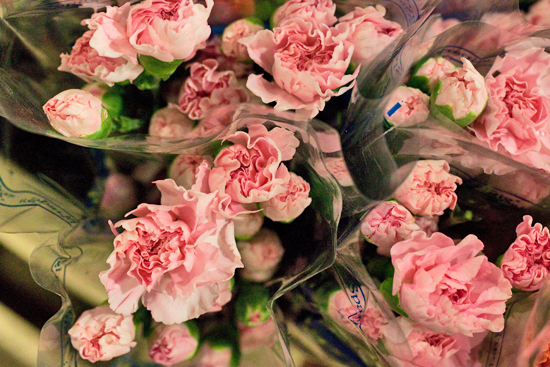 This gorgeous pink variety below is called Farida and it’s available at Alagar. 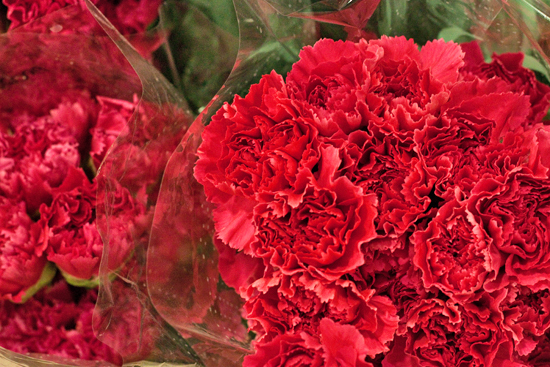 From the Caryophyllaceae family, the carnation's botanical name is Dianthus which comes from the Greek words 'dios' which means divine and 'anthos' which means flower. 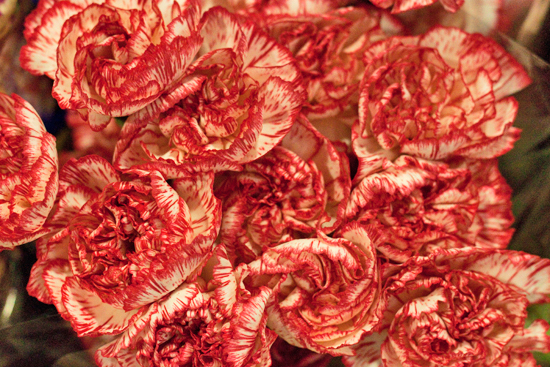 In the past, carnations have suffered bad press as they've had a bit of garage forecourt image, but due to the exciting new varieties in a wide range of colours which are now available, they're making a real comeback. 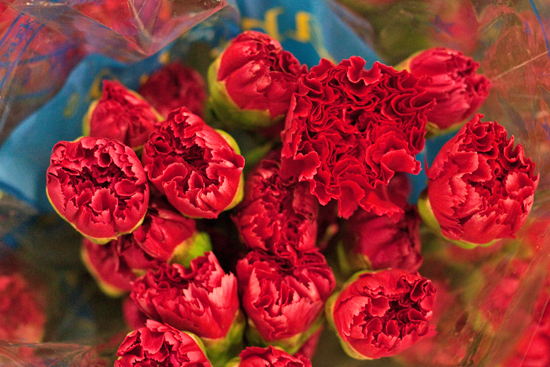 Their petals, which are often described as frilly, ruffled or feathery make them the perfect bloom to use to add texture to a design. And they look wonderful massed on their own. 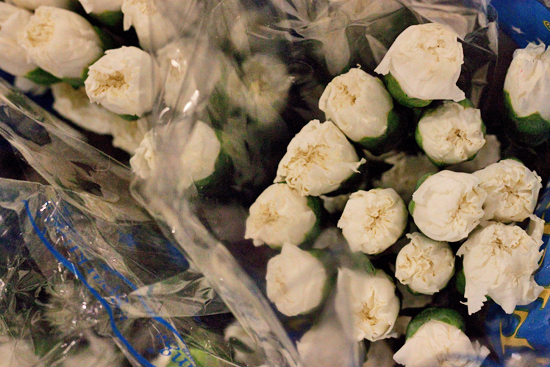 With a spicy, clove-like scent, they're available all year round and they have a great vase life of generally 14-21 days. 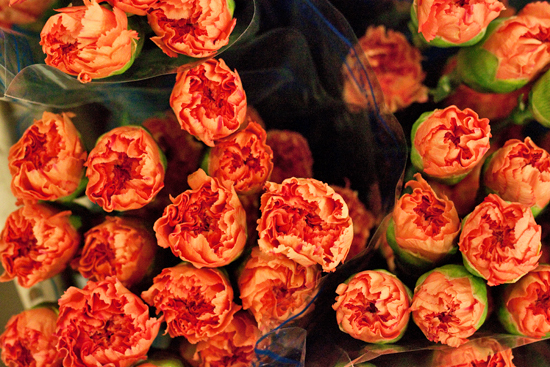 Carnations come in a myriad of colours including pink, red, orange, yellow, white, green, purple and peach. There are also some bi-coloured varieties. 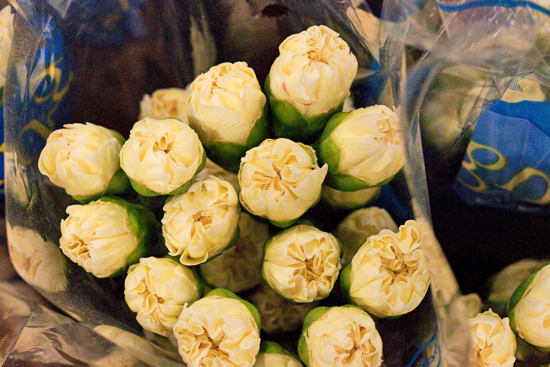 Different types of this wonderful bloom are available at Nine Elms. 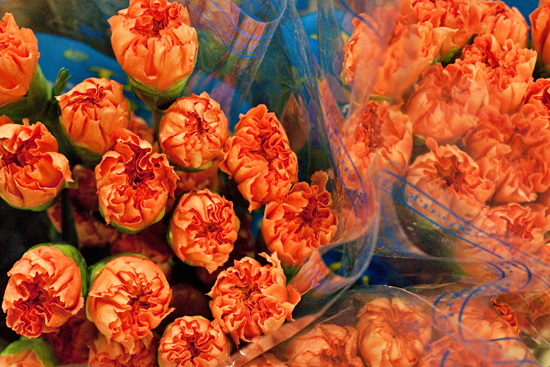 Dutch carnations come into the Market with their blooms more open than Colombian carnations. Each variety has a name and this particular pink and cream one below is very popular, especially for weddings with a vintage theme. The traders tend to call it Antique, however the names Antigua and Antiqua are sometimes found on the packaging. It's available at Alagar and Bloomfield. 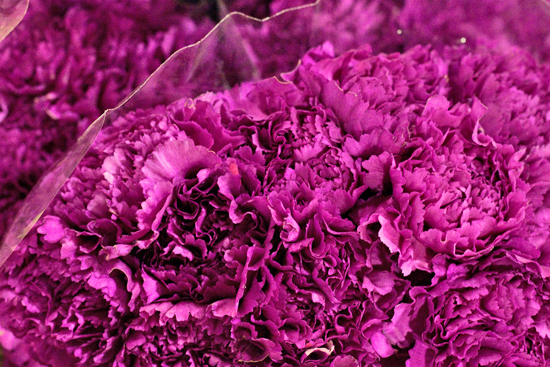 Colombian carnations are known simply by their colour. So, when you're ordering them, you just need to ask for green, pink, cream, white, red, hot pink, peach or orange. It's amazing how big they open up when they bloom. 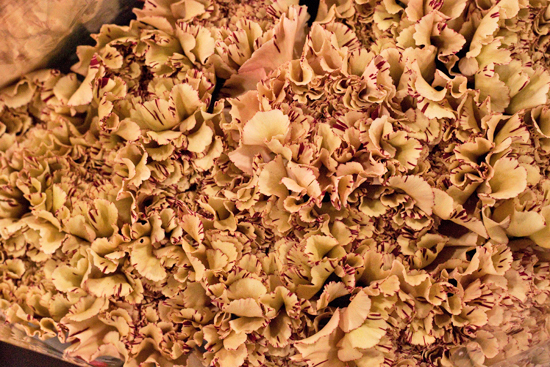 The picture immediately below shows the carnations when they first come into the Market at E Four. And these pictures show you how they look when they open up. 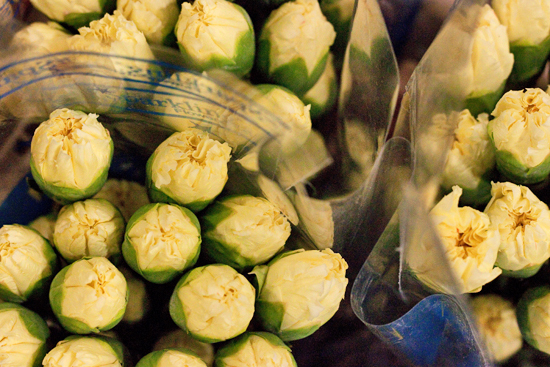 Here are some more varieties which are available at Alagar. 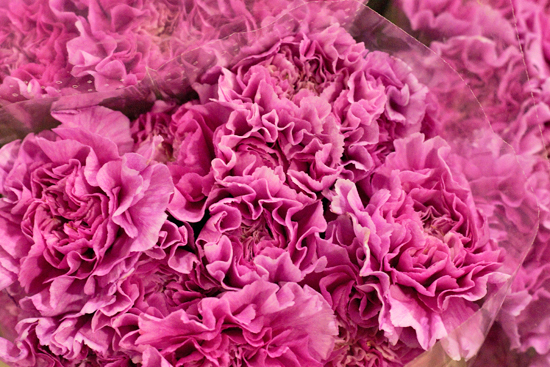 The Spray varieties of carnations also do not tend to have names. You simply order them by colour. In the summer months, dainty pinks (Dianthus plumarius) which are grown in Devon are available at the Market, as mentioned in my July 2013 Market Report. 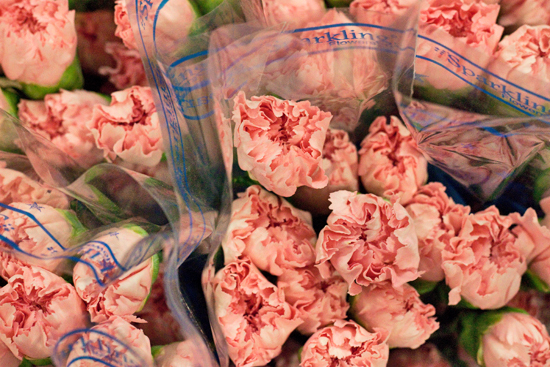 Dutch carnations come in bunches of 20 stems and Colombian carnations come in bunches of 25 stems. 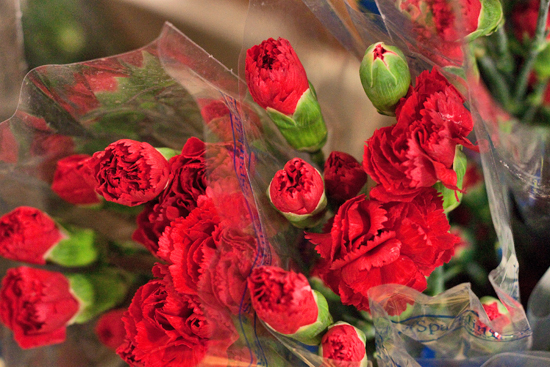 The price of carnations at the Market varies depending on where they're grown and the type. 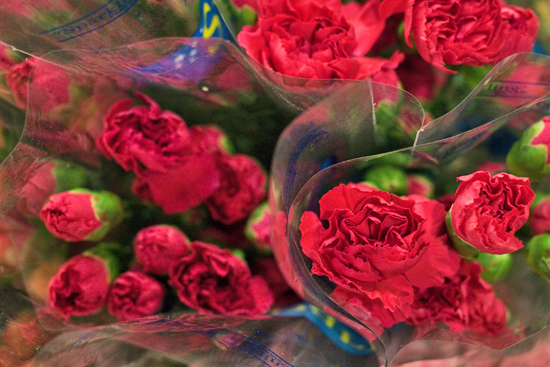 As a general guide, the Colombian carnations are less expensive that Dutch carnations. 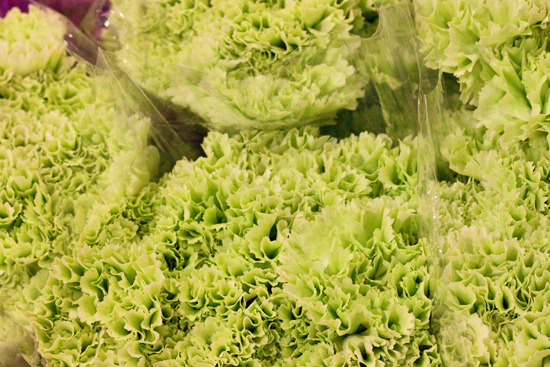 To condition carnations, firstly remove any excess foliage. 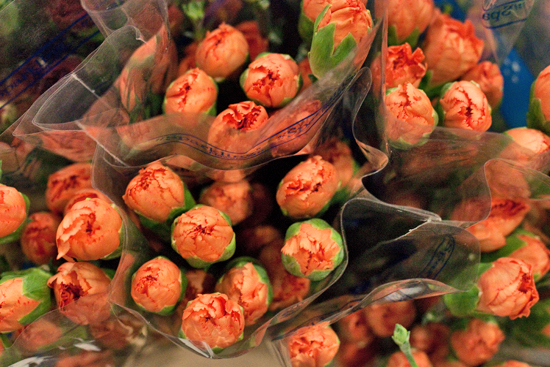 Then cut the stems on a slant and place them in a clean vase with fresh water. 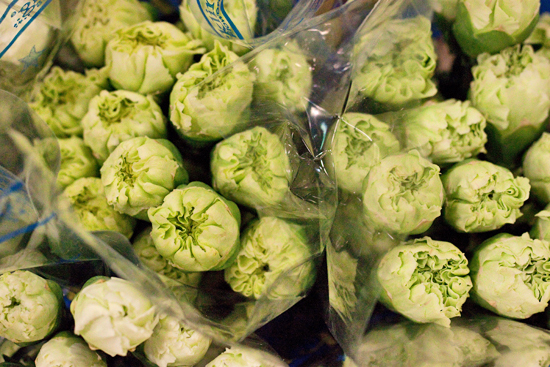 Make sure to always cut the stems between the nodes, to help water uptake. Keep them in a cool place, away from direct sunlight and sources of heat. 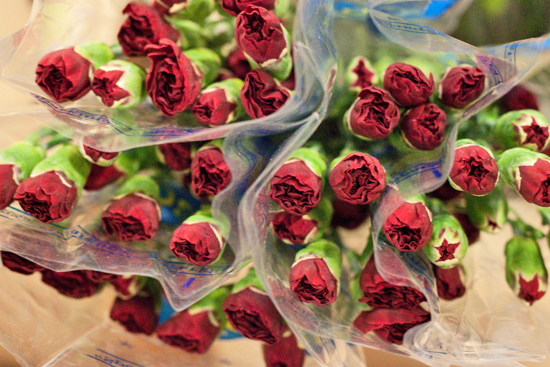 They're very sensitive to ethylene gas, which causes petal browning and buds failing to open. So, put them in a spot with good air ventilation. 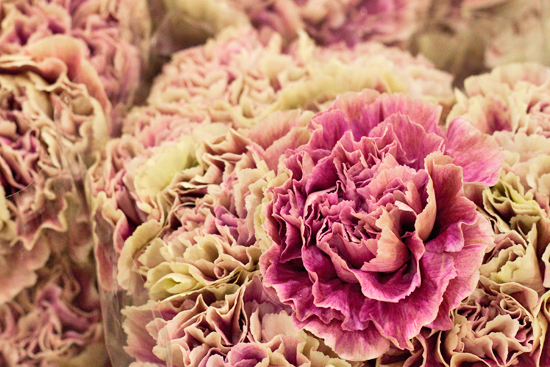 Traditionally, Standard carnations are popular for buttonholes at weddings and events, but they're very versatile when it comes to creating floral designs. Mass them in one colour in floral foam spheres and they can be used as bridesmaids' pomanders, Christmas tree decorations and fun party decorations. If you secure the sphere on top of a tall vase, it can be used as a topiary tree style tablecentre design. And you could use more than one, going down the middle of the table. To create another style of tablecentre design, you could insert carnations in one colour into a floral foam wreath ring. Then place a large candle in the centre. 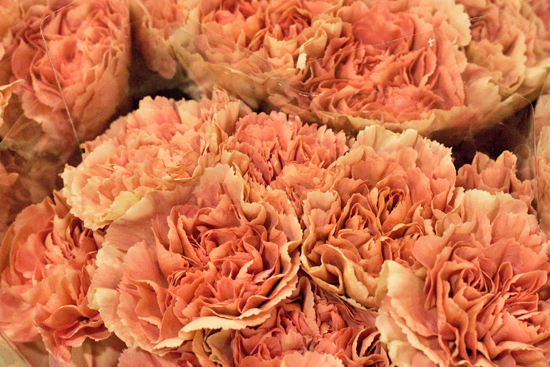 Due to their long-lasting nature, carnations are perfect to use in floral crowns and garlands. 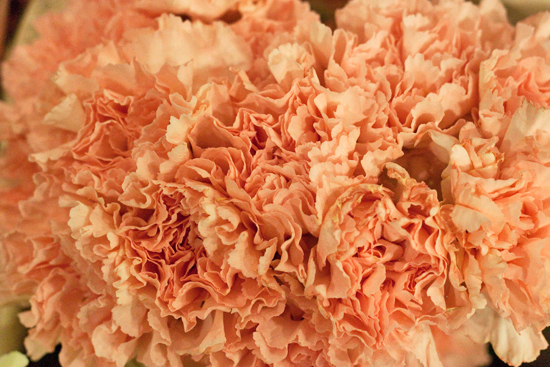 And how about this wonderful pink ombre carnation curtain for a wedding or event? 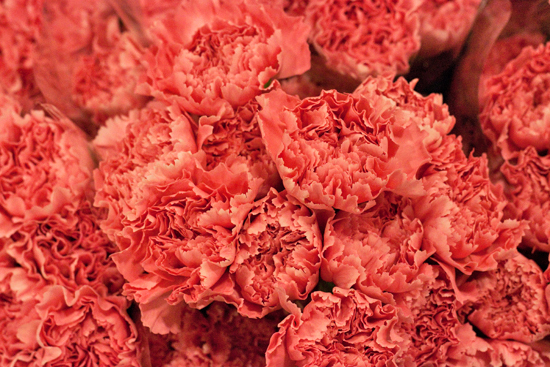 Even Martha Stewart herself has used carnations in an ice-cream cone inspired design. Perfect for a party. 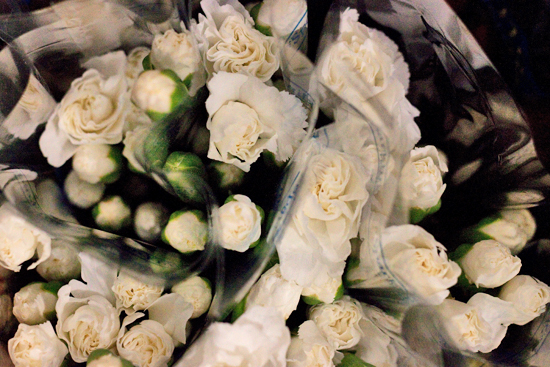 If you're involved in creating designs for large-scale events, take a look at Robbie Honey's breath-taking way of using carnations for Mary Katrantzou's catwalk a few years ago. He used 12,000 stems in bold blocks of colour. And Rebecca Louise Law used carnations in her stunning floral installation at her recent exhibition. And if you're taking part in this year's Chelsea in Bloom, which coincides with the RHS Chelsea Flower Show in May, why not consider these fabulous flowers for your design, as many florists have in the past? P.S. 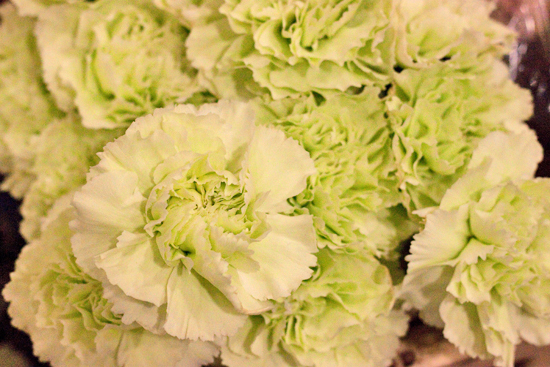 And don't forget to consider Dianthus Barbatus Green Trick for your floral designs…great for adding texture.